We maintain close relations with Brentwood Borough Council and study council agendas and papers so that we may make representations affecting the Borough’s businesses including planning policies, individual applications, traffic control, car parking, environmental matters and security. The Chamber is also consulted on the Brentwood Local Plan. We are represented on the Brentwood Business Partnership and other working groups to discuss how to develop and promote Brentwood. The Chamber also acts as a representative of non-domestic ratepayers for the purposes of statutory consultations with the Borough Council on budgets and rates. 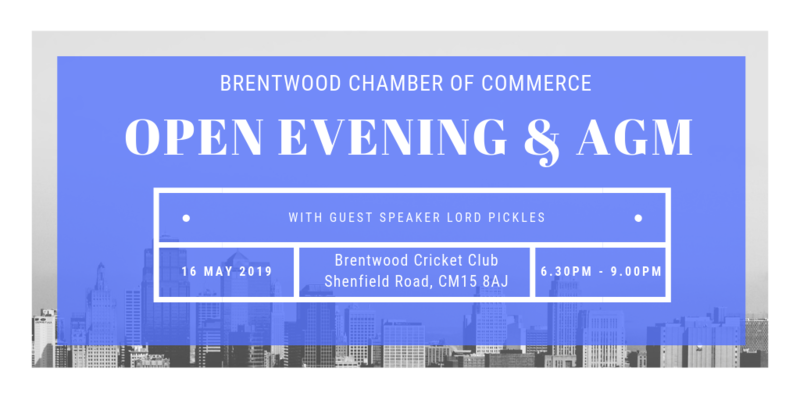 Brentwood has a variety of businesses including retailers, professional services, hotels, restaurants, private hospitals, conference facilities, banks and building societies, marketing companies and manufacturers. Chamber of Commerce membership ranges from large international companies to small, home-based companies. Brentwood High Street and its adjacent roads. These form the primary focus of the Borough’s commercial, cultural, religious, leisure and educational life. The town centre contains over 300 shops, banks, restaurants and public houses and a number of both large and small offices. The area around Brentwood station and Warley Hill contains another large concentration of office development, conveniently located close to the main line station, plus a number of neighbourhood shops and support businesses. Shenfield, which is a very popular neighbourhood shopping centre, with a small number of office developments. Businesses are centred on the railway station, The Broadway and Hutton Road. Shenfield station is a major railway terminus and interchange for rail passengers to London, and between the East Coast and Southend networks. Ingatestone is the Borough’s largest commercial centre outside the town of Brentwood, concentrated on the High Street, with a mix of shops, offices, pubs and restaurants.